Two of the films I’ve seen this year have used their soundtrack in very different ways, and are a good way of exploring how you can use music to structure your own productions. I’ll admit now that I loved both films for very different reasons, and the use of music and sound was very much part of that. 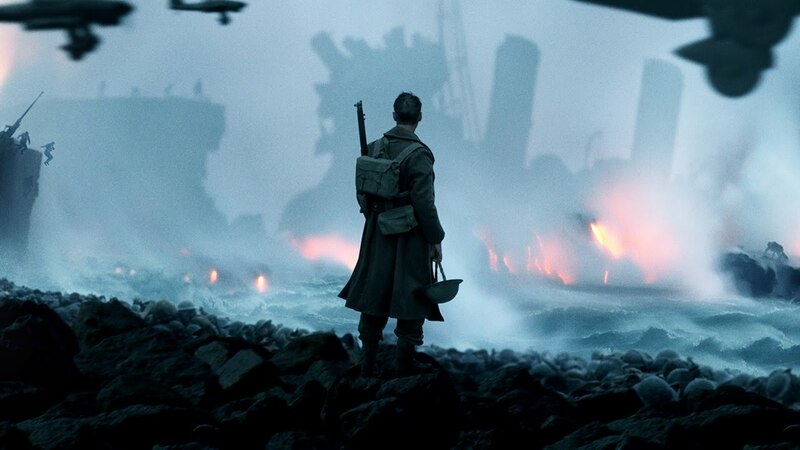 Firstly, Dunkirk, I’ve included the trailer that best captures that the soundscape created for the film, only slightly let down by the blockbuster voiceover at the end. The soundtrack should be described as a musical soundscape, it is far more than just a score, it forms part of the living breathing experience of the film. This is achieved partly through the ongoing storytelling relationship between Christopher Nolan and Hans Zimmer, but also due to the lack of dialogue in the film. You are not lead through the film by characters telling you what is happening, more that you feel that you are part of the visual and aural experience. I’ve never been to see a film where I’ve felt exhausted by the time I left the cinema. Zimmer uses a Shepard tone through the film to drive intensity and tension, and this has been used by Nolan in other films too, but never quite on this level. Looking at this as an example for your own work, consider the use of non-musical elements and how you can bring them into your soundtrack to drive the story forward without feeling the need to have to use dialogue. Consider the feeling that you can create by raising and lowering the volume, don’t feel that once you have your set level you need to maintain it, consider dropping it down for an emotional point to be made, rather than using the music drive the emotion. A complete change of scene, moving away from a composed score to pop and rock music to drive the story, with the use of music making it more of a musical rather than a heist movie. You may have guessed I’m talking about Baby Driver by Edgar Wright. Wright has always used music as a driving force in his films, with some scenes becoming iconic, such as ‘Don’t Stop Me Now’ by Queen in Shaun of the Dead. However, in Baby Driver, the choreography steps up even further with all scenes shot and edited to be perfectly timed with the music featured, in fact, this is drawn to the viewer’s attention with the scene featuring Neat Neat Neat by The Damned, where our hero has to re-start the track as the dialogue has overrun! I’ve included the opening clip from the film, featuring Bellbottoms by The Jon Spencer Blues Explosion, this perfectly shows how Wright uses music throughout the film and is also an amazing track. Because of the use of music throughout the film, which is almost non-stop, the storyboarding of the film had to be precise meaning that every scene was timed with not even a second of footage able to be out. Therefore, less takes, and less edit time to make up for the complex shot set-ups. Music drives the story and more importantly forms the connection between the view and the lead character of Baby, as we experience his musical and life choices via his multiple iPods. This style of editing to music has been around for a long time, but using it in this genre of film is unusual, and makes the film fly by. To use this filmmaking style in your own production, you must consider your music choice. If it’s well known it could be expensive and difficult to get permission to use, not everyone has Edgar Wrights budget! Choose your music and get permission to use it prior to working your whole production around it, this will enable to get your timings for the shoot correct and save edit time, and potentially re-shoots of scenes that are not timed correctly. Editing to punchy music can really change the dynamics of a video, so do consider carefully if this will be suitable for the video audience. I found both films to be very inspiring, and creatively inventive for what are essentially quite traditional films, a war film and a heist movie. What films have you seen recently that have used music creatively and inspired you?